After clicking on one of the links above you will see that on the left side of your screen there are several document icons to help you get around. The 2nd icon down (circled in yellow in the image below), which looks like a ribbon opens different bookmarked pages. 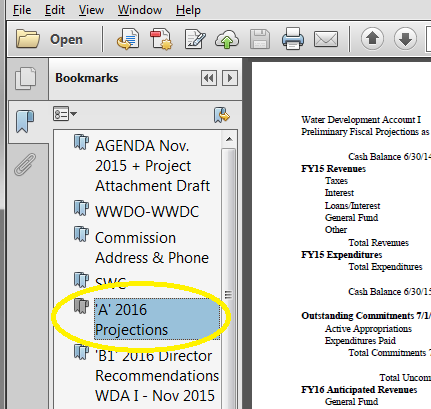 Opening this will allow you to see different bookmarked tabs/pages with the name of agenda item.